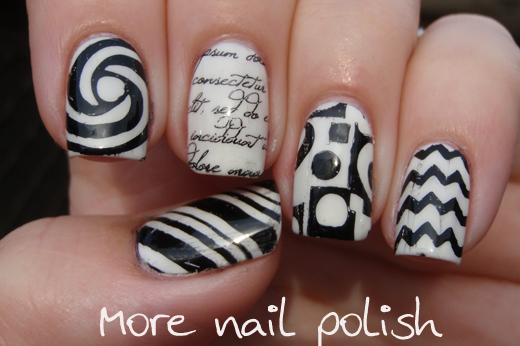 I always forget how awesome black and white nails can look. There is something so clean and edgy about them. 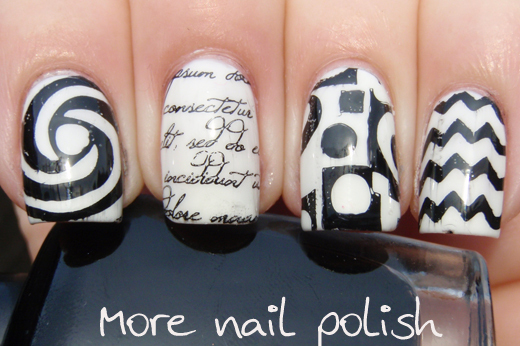 For today's black and white theme I decided to with something quick and easy and just do some different stamping on every nail. 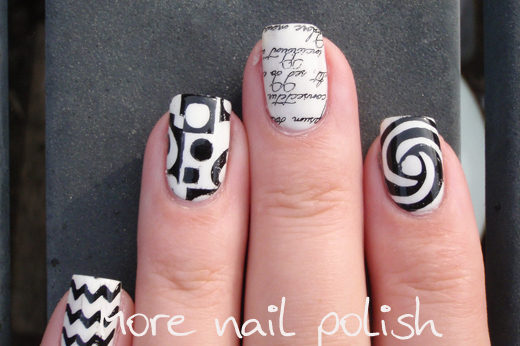 I started by painting my nails white and then stamped in black. To assist with clean up, after my white base is dry I rub some moisturizer over my cuticles. Then after I've finished stamping, I use a piece of sticky tape to pick up most of the black stamping left on my cuticles. Because of the moisturizer, it doesn't really stick to my skin and lifts off easily with tape. I used 5 designs from 4 different brands stamping plates. As always, I got a little bit of black streaking when I applied my top coat, although it wasn't too bad as I tried really hard to float it on and not stroke over the same part of the nail more than once. 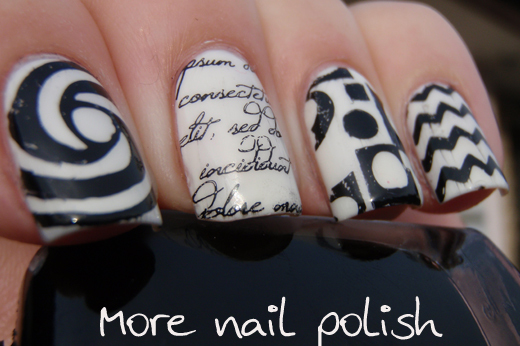 I even matched this mani with a black and white outfit to work on Friday. 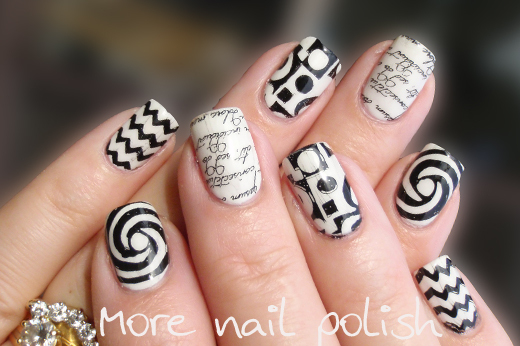 I've never done a black and white mani - looks great, I particularly like the script plate - I really must be brave and start experimenting with my plates. I'm not very good at it, but only practice will make perfect! 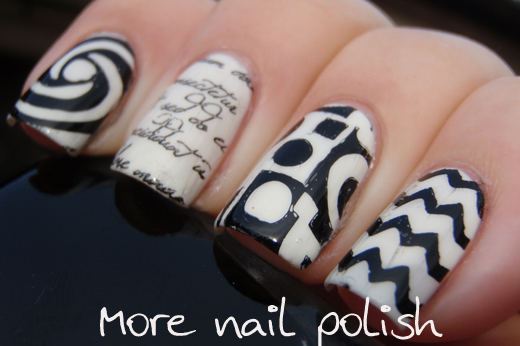 I love black & white mani! All the stamps looks awesome!